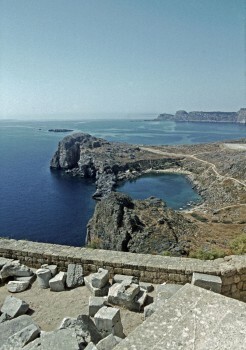 th century Lindos was a major trading centre. 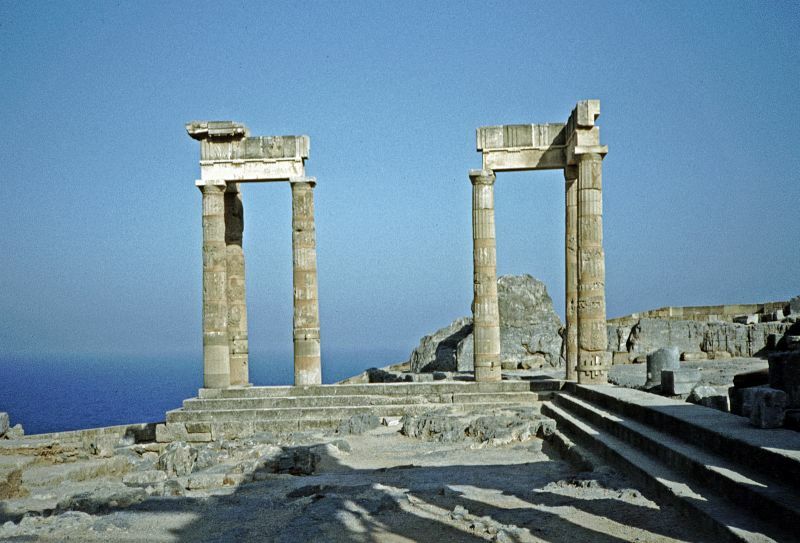 In the 6th century it was ruled by Cleobulus, one of the Seven Sages of Greece. 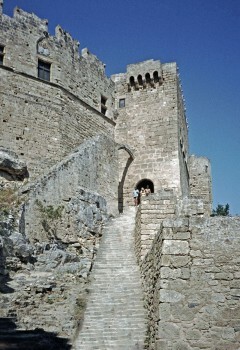 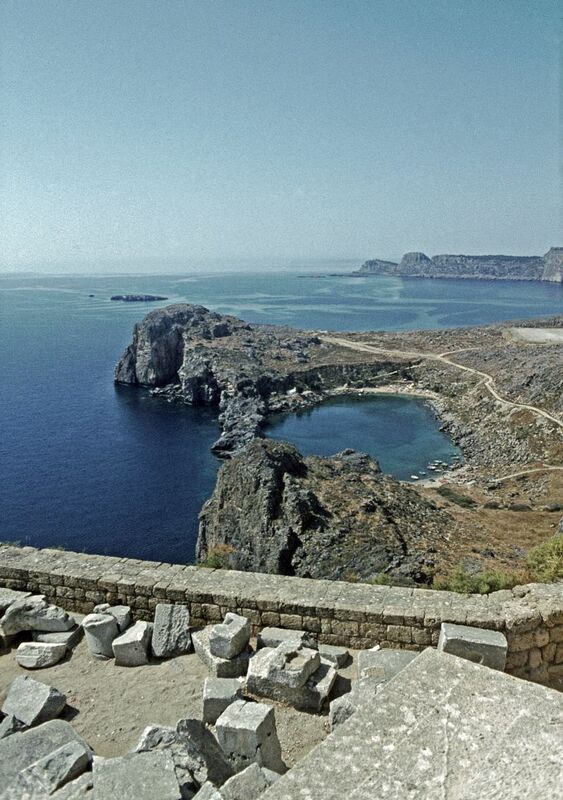 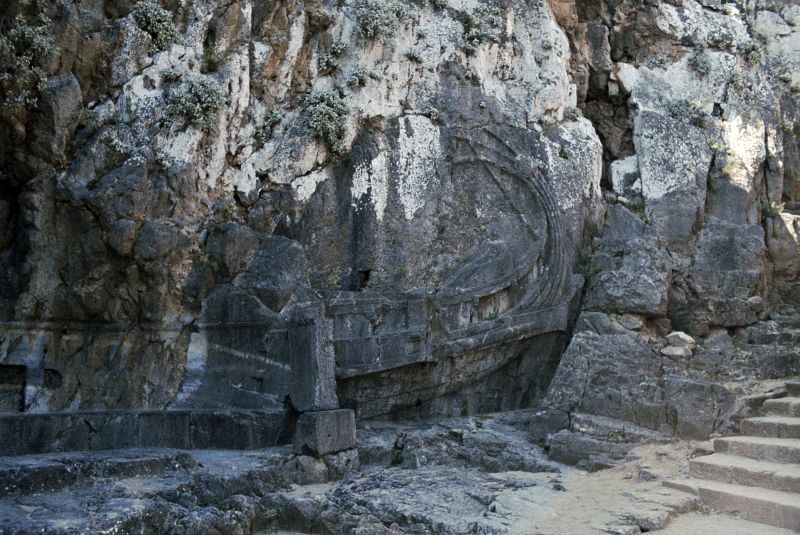 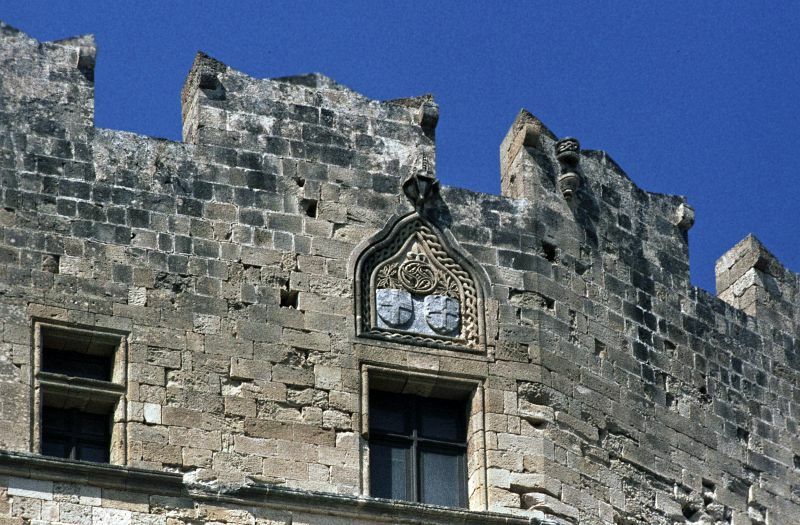 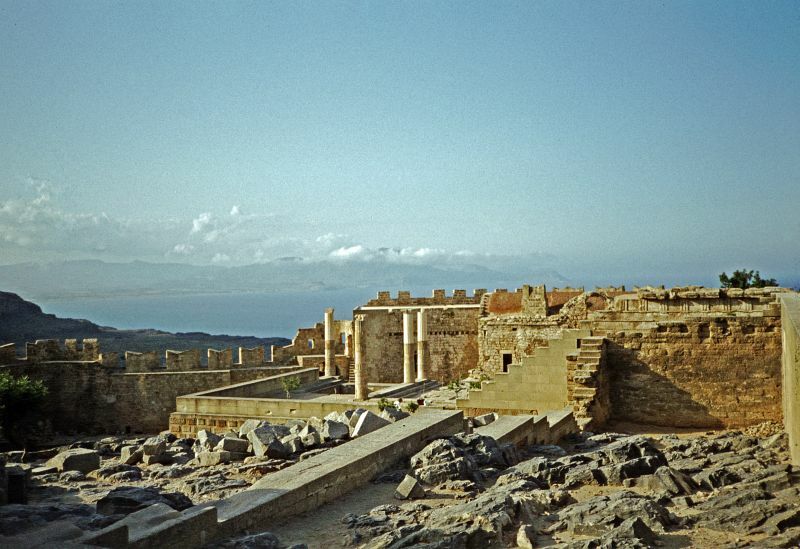 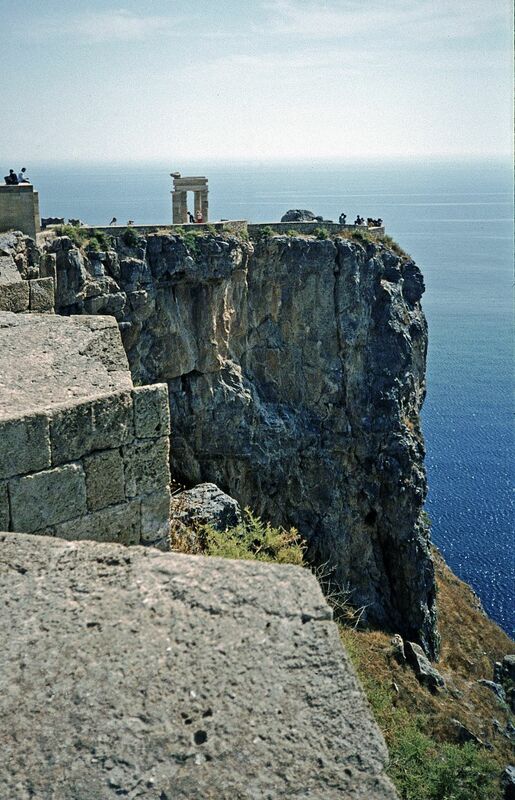 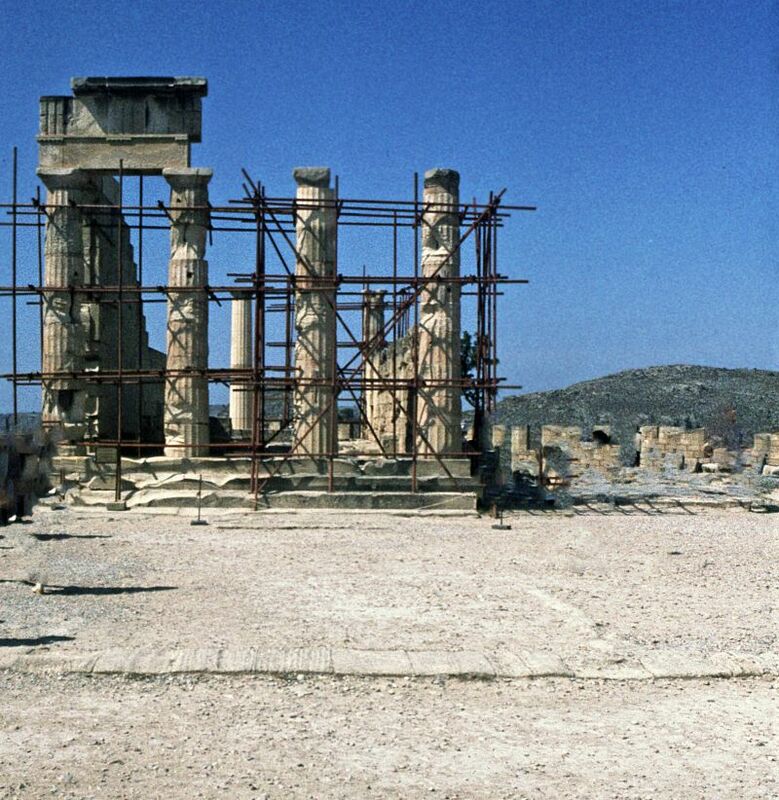 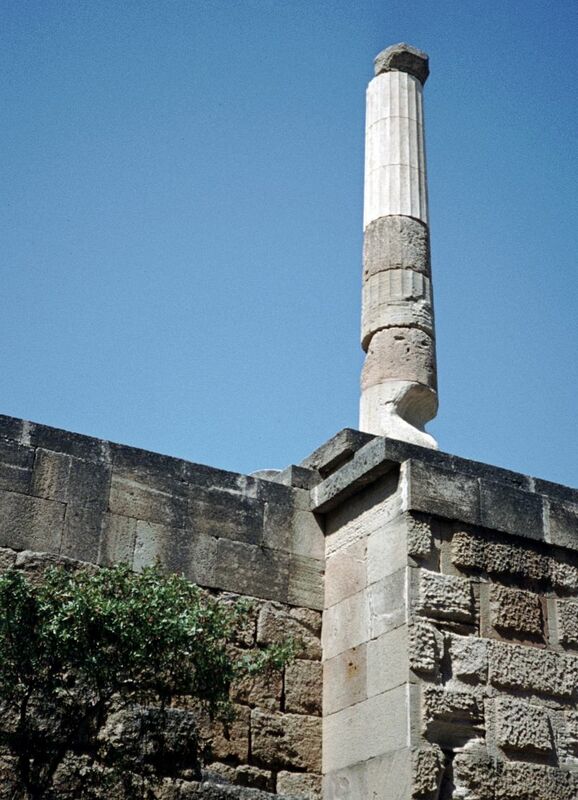 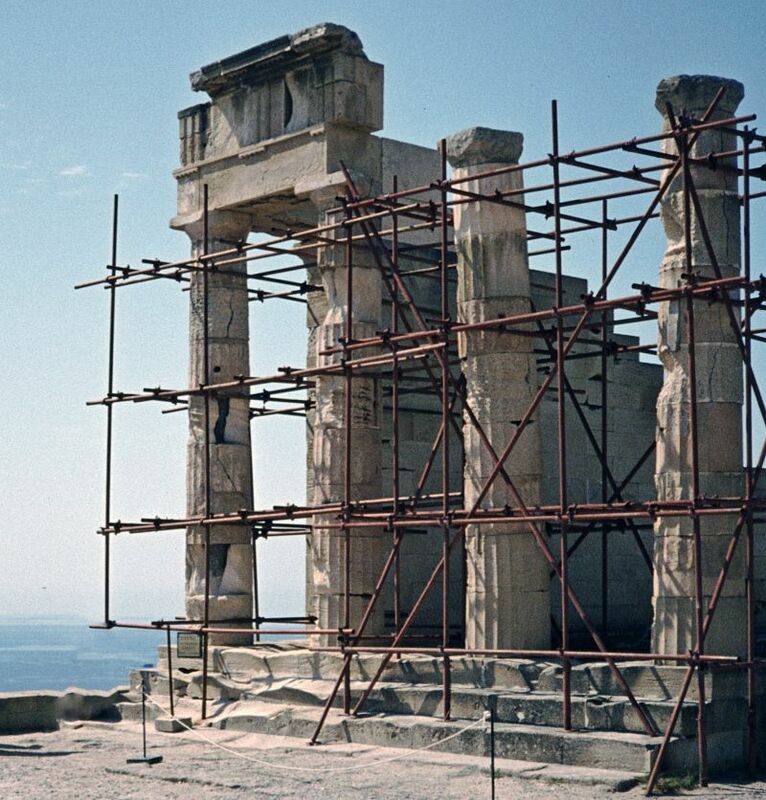 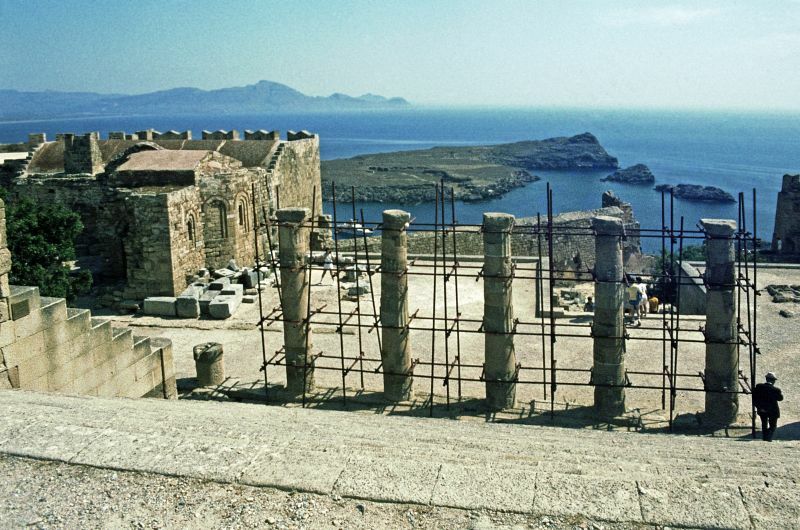 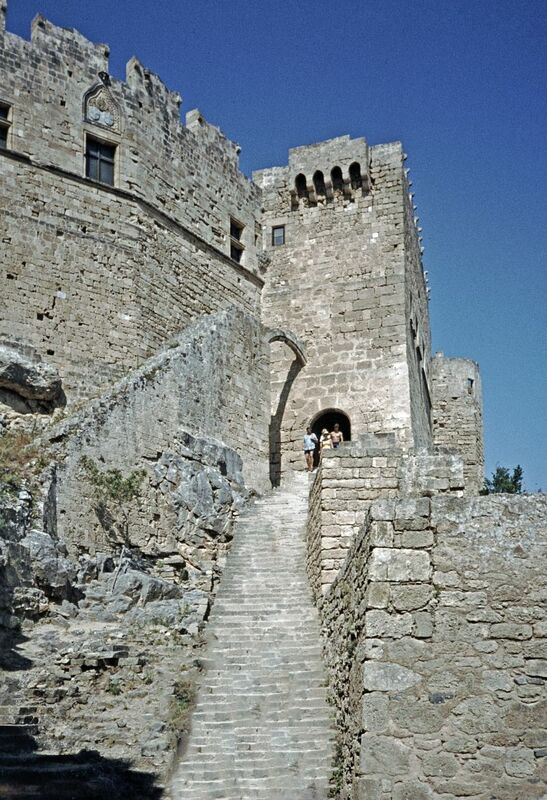 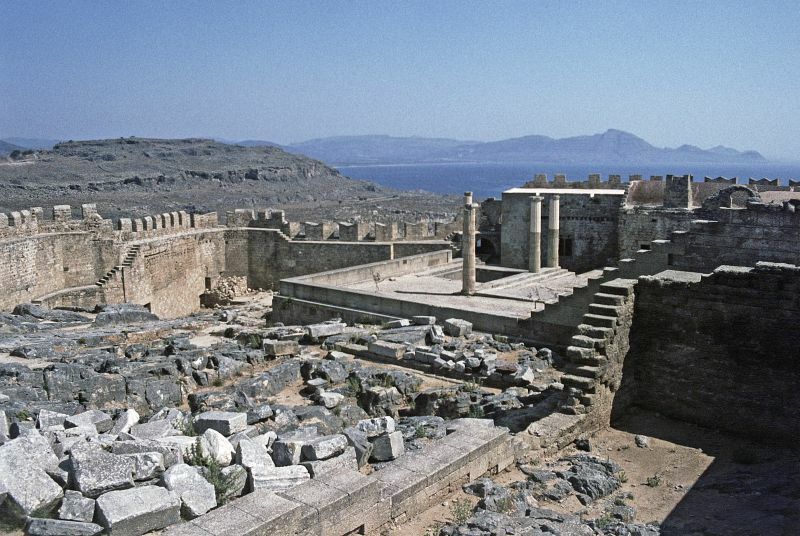 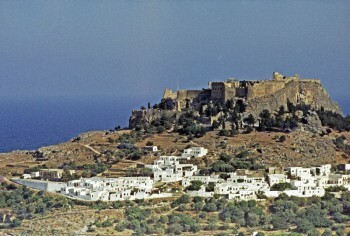 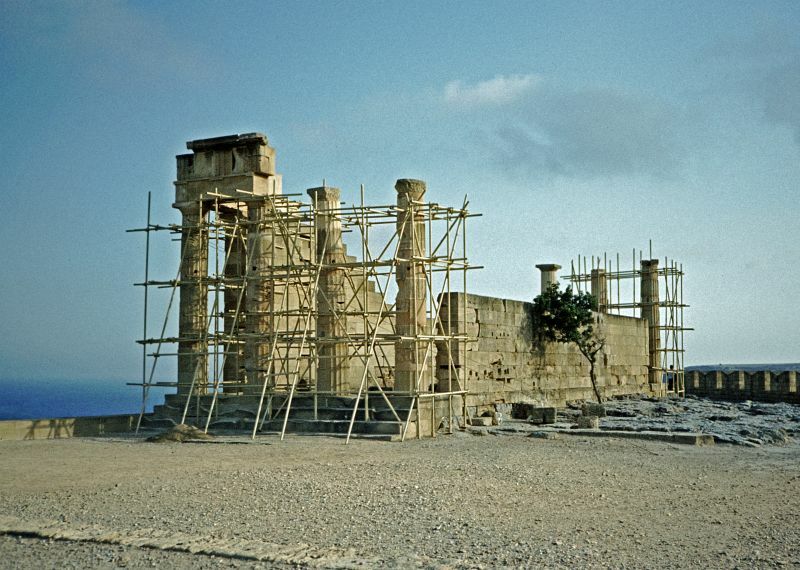 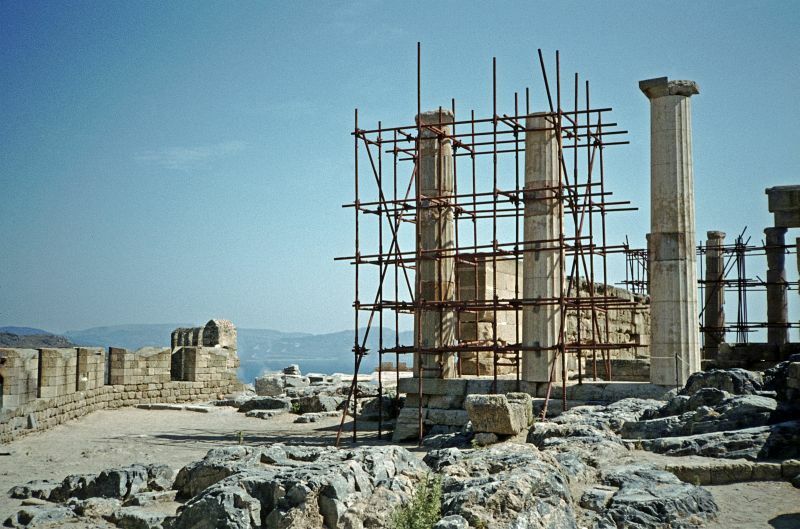 The importance of Lindos declined after the foundation of the city of Rhodes in the late 5th century. 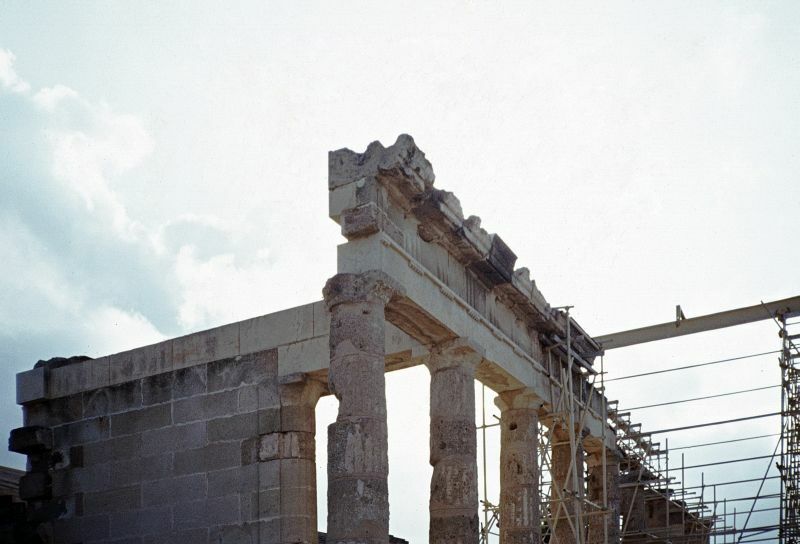 The Hellenistic stoa with lateral projecting wings, dating from about 200 BC. 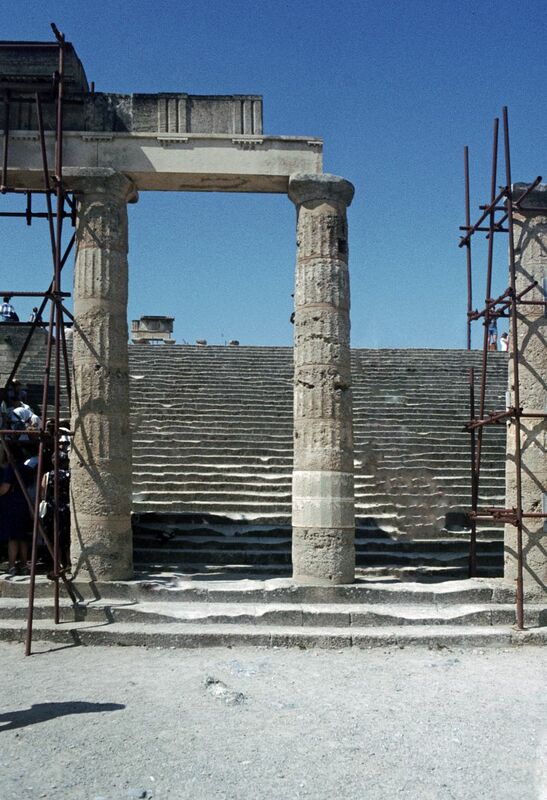 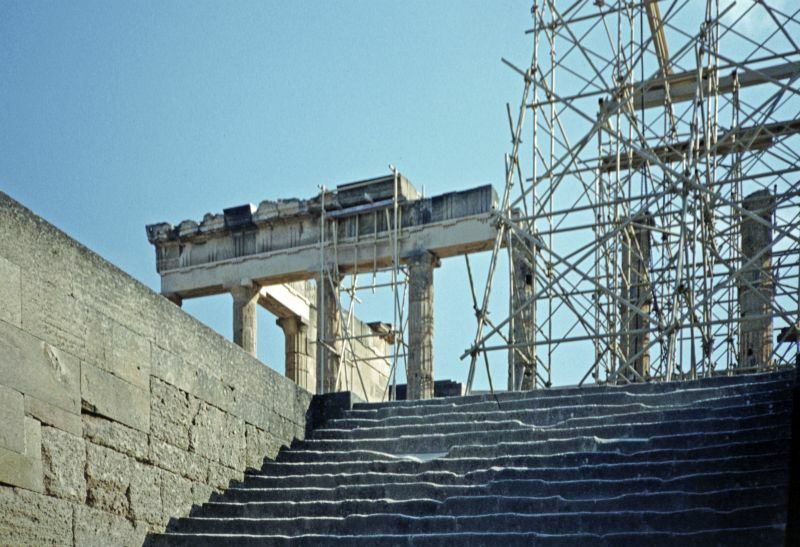 The stoa was 87 metres long and consisted of 42 columns.